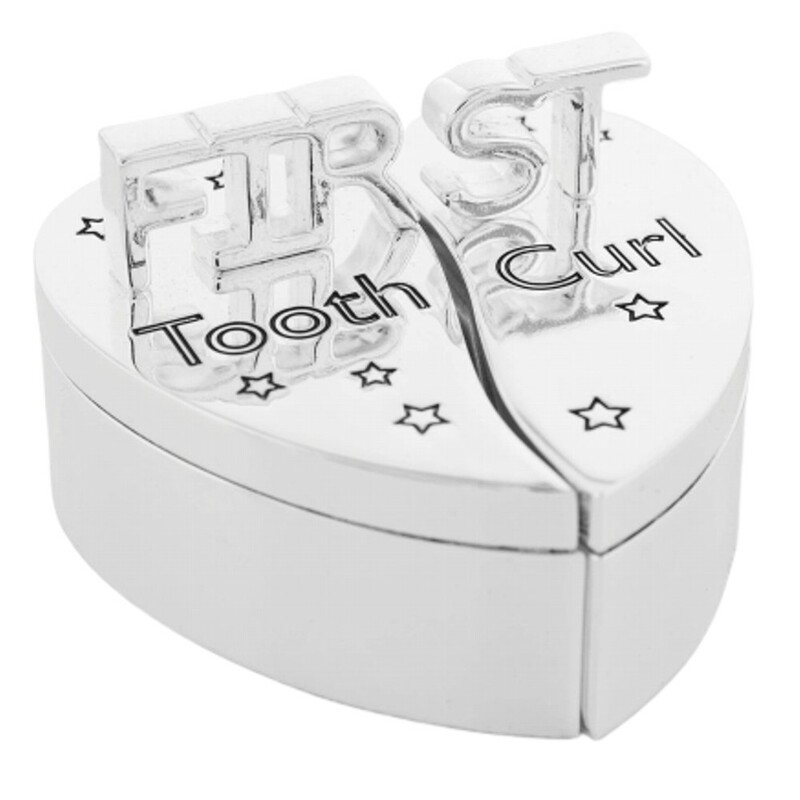 Engraved Baby's First Tooth and First Curl Heart Silver Plated Box. This is a unique beautiful silver box with fantastic detail. Your engraving is done on each side of the box, there is one scroll on each half, please supply one name for one scroll and a short hand date for the other scroll. Please note any more text supplied than advised will delay your order in being dispatched. The heart trinket box fits together in two halves of a heart. A great Christening Present or 1st Birthday/Christmas gift.